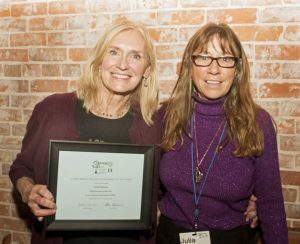 Each year at our Annual Meeting, AFFEW honors local leaders who are exceptional in the environmental field and have made a difference in the community. The board of directors takes pride in recognizing these individuals and businesses for sustainable practices, environmental leadership and hours of volunteering. 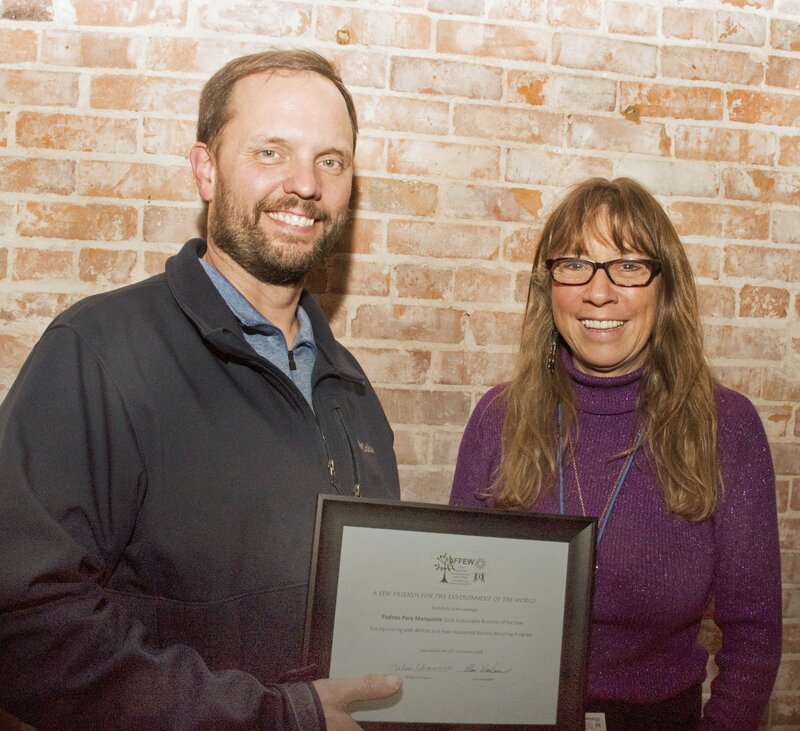 The 2018 Sustainable Business of the Year award was presented to Padnos manager Joe Hilyard by AFFEW president Julia Chambers. Padnos accepts many items that can be recycled and reused. They are also a sponsor for the six-county Recycle Rama and stored batteries for the now ended household battery recycling program sponsored by AFFEW. 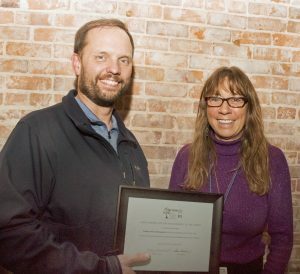 AFFEW is pleased to name Glenn Walquist as the Environmentalist of the Year. Glen has been a big supporter of AFFEW and our Earth Day Celebration. 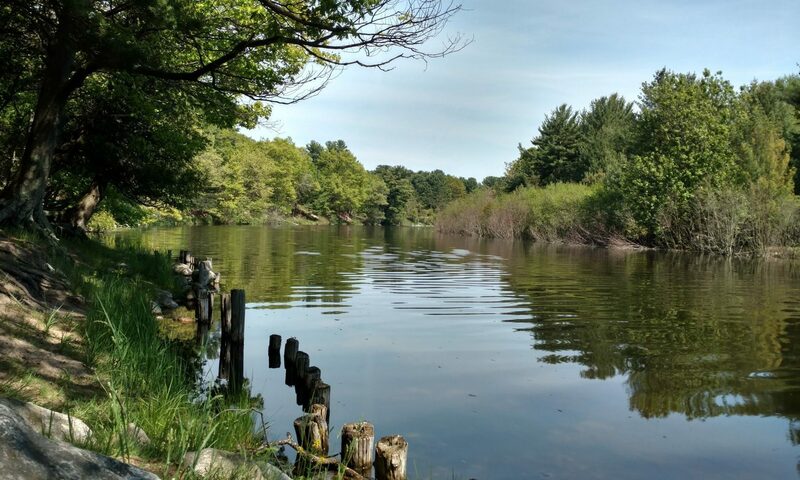 He has also serves as a member of Mason-Lake Conservation District Board where he provides guidance in project planning for river restoration and volunteers for many events. Heidi Moloney was named the 2018 Volunteer of the Year. 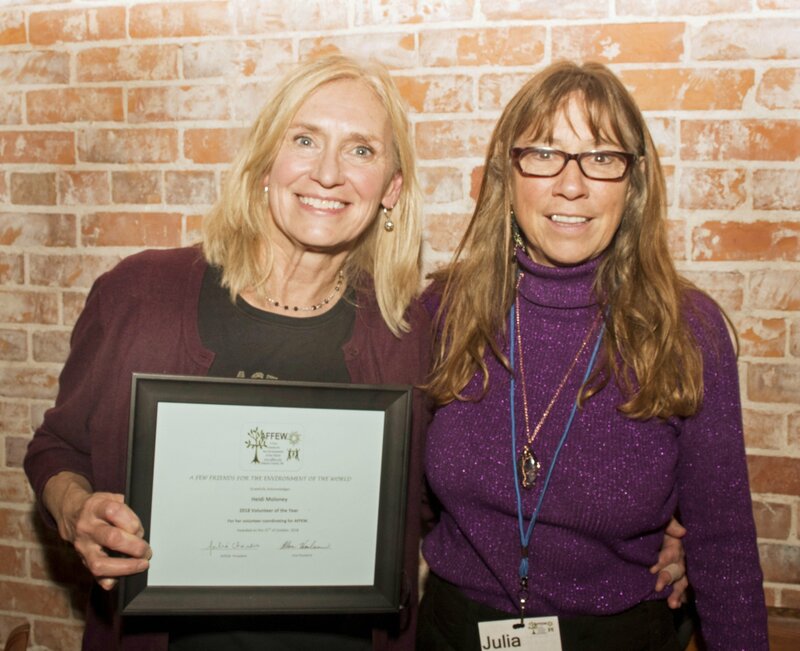 She served on the board for ten years with AFFEW and continues to be our volunteer coordinator. She recruits and organizes the volunteers for many events including AFFEW’s Earth Day Celebration and Recycle Rama. Heidi also volunteers for multiple events in the community.